Consumers Still Spending Cautiously Despite Uptick in Confidence Levels. 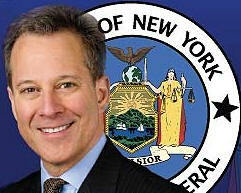 Dietary Aids Pulled from Large Retailers After Legal Threats from New York Attorney General. NCUA Certifies American Consumer Council as Compliant with Credit Union Requirements. ACC Annual Business Meeting Scheduled for June 12 in San Diego. Consumers Still Spending Cautiously Despite Uptick in Confidence Levels. 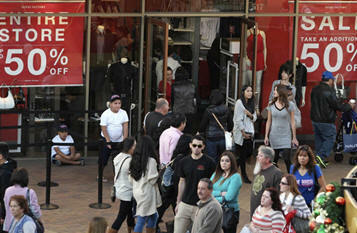 Despite good news on the American economy, consumers have remained cautious and are not spending as much as expected. Bloomberg News reported that sales at U.S. retailers declined in January by the most since June 2012 amid bad weather and uneven progress in the labor market, signaling the economy was off to a slow start in 2014. Slower employment and wage growth during the last two months, along with colder-than-normal temperatures, caused American shoppers to pull back after the strongest consumer spending pace in three years in the final quarter of 2013. Economists at Goldman Sachs Group Inc., Credit Suisse and Morgan Stanley were among those reducing tracking estimates for first-quarter growth. Also, more Americans than forecast filed applications for unemployment benefits last week, according to the Labor Department figures. Jobless claims increased by 8,000 to 339,000 in the week ended February 8. The median projection in a Bloomberg survey of economists called for 330,000 claims. The expiration of emergency jobless benefits probably also played a role in holding back retail sales. Federal benefits for the long-term unemployed expired on Dec. 28, shutting off aid to more than a million people. Legislation to extend the program for three months, at a cost of $6.4 billion, is stalled in the Senate. More than 3.6 million people have been without work for 27 weeks or longer, according to the Labor Department. Major Retailers Pull Dietary Aids from Shelves under Legal Threat from the New York Attorney General. Four major retailers, under threat of legal action from the New York Attorney General, have pulled certain dietary aids from their shelves. According to the New York Times, Walgreens Boots Alliance Inc, Wal-Mart Stores Inc, GNC Holdings Inc and Target Corp agreed to remove certain dietary supplements from their retail shelves in New York after receiving a threat of legal action from the state's attorney general. The retailers received subpoenas from New York State Attorney General Eric Schneiderman demanding evidence for the health claims printed on labels of dietary supplements sold in New York. Attorney General Schneiderman asked major retailers to halt sales of certain herbal supplements as DNA tests failed to detect plant materials listed on a majority of products tested. Earlier this week, GNC said it refuted the claims made by Schneiderman and said re-testing results clearly and conclusively demonstrate that the company's products are pure, properly labeled and in full compliance with all regulatory requirements. The subpoenas require the retailers to provide evidence of how they would prove the authenticity of their product claims. NCUA Certifies American Consumer Council as Compliant with Associational SEG Requirements. After a 15-month long quality review process, the National Credit Union Administration’s Office of Consumer Protection (NCUA-OCP) has reaffirmed that the American Consumer Council is compliant with the agency’s Totality of the Circumstances test and can continue to refer its members to federally chartered credit unions. ACC Annual Business Meeting Scheduled for Friday, June 12, in San Diego. The American Consumer Council (ACC) has announced its 2015 annual business meeting will be held at the Rancho Bernardo Inn located in San Diego. Members are welcome to attend. For details, please contact ACC at 1-760-787-0414. 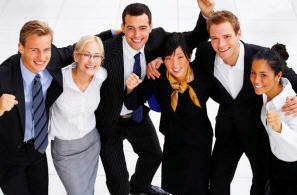 Is your business consumer-friendly? Does your business deserve greater recognition for its service to consumers? If so, you should apply for the American Consumer Council’s Friend of the Consumer Award. 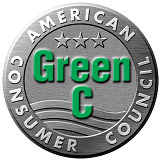 If your company or organization would like to increase its credibility with consumers, you should consider applying for the Green CSM Certification. Applications for the 2015 Spring cycle are now being accepted through March 31, 2015.